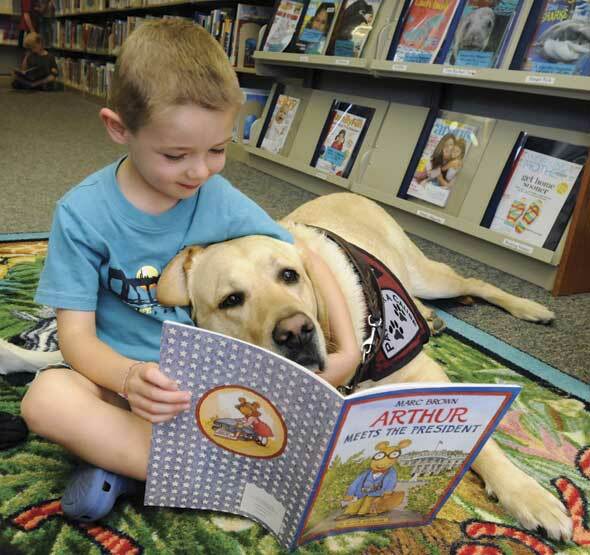 Children in grades K through five are invited to read a book out loud to one of our friendly and patient service dogs. Reading aloud helps develop confidence and fluency. Our Puppy Tales program is a win-win: the children have an opportunity to practice their reading skills, and the dogs, who are service dogs in training, can work on their socialization skills. There’s no fee for this program and no registration is required; just bring your child, have him or her pick out a book they’d like to read, and find one of the dogs who will be stationed throughout the library. We hope you can join us!